Reservations are strongly recommended! On Saturday September 13, 2014 from 6:30 PM to 9:30 PM, join 2nd Planet as we provide the music for your relaxing enjoyment at the Sticky Rice Bistro located in Fairfield’s beautiful Green Valley area, which offers a menu suffused in the sophistication of contemporary cooking and time-tested tradition. Their tantalizing menu is presented in a serene, waterfront location which features an outdoor patio and elegant dining rooms, as well as a private dining room accommodating up to 45 people, in addition to a full bar. Also, we will be performing music from our latest CD release “The Next Level” and debut release “Beyond the Surface” in addition to selections from 2nd Planet’s bassist George Franklin’s CD release titled “Always”. 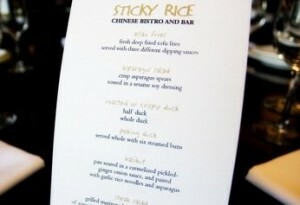 For more information for location and directions, please visit stickyricebistro.com.